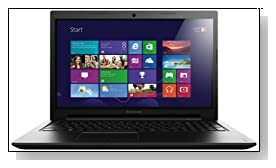 Black Lenovo IdeaPad S510p 59385901 15.6-Inch Touchscreen laptop is a great alternative to the much more expensive Ultrabooks. It still has a slim, light and modern design and still offers fast and powerful performance as well as features you will enjoy in a nice looking yet affordable package. Lenovo IdeaPad S510p has an Intel Core i5-4200U Processor (3 MB Cache) at 1.6 GHz- up to 2.6 GHz with Hyper Threading and Virtualiazation Technologies for fast and smooth performance, 6 GB DDR3 RAM memory configured as 1 x 2GB + 1 x 4GB for great multitasking and the ample 1 TB ATA100 hard drive at 5400 RPM rotating speed to save all your multimedia files along with Lenovo Cloud Storage with which you can share media and have access to your files on any device and wherever. Windows 8 is preinstalled as the operating system and sure not everyone loves it but actually works great with the beautiful touchscreen of Lenovo IdeaPad. You can always upgrade to the new Windows 8.1 as it is available on Microsoft Store for free. It has a high quality 15.6-inch HD LED-backlit 10-point multitouch touchscreen with 1366 x 768 pixel resolution and Integrated Intel HD 4400 Graphics as well as great sound through the built in stereo speakers and Dolby Advanced Audio v2. Keyboard is a comfortable AccuType keyboard with rounded keys and a 10-key numeric keypad for accurate typing and data entry. It also has a functional and responsive multitouch touchpad underneath the keyboard for when you want to have a break from the touchscreen. OneKey Recovery function lets you recover easily from any operational problems and helps with data backup. 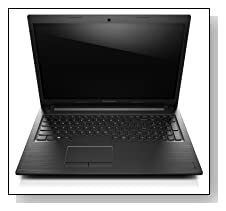 Black Lenovo IdeaPad S510p is only 0.98 inch thick and weighs around 5.7 lbs. You can expect easily an average of 5 hours from its 4-Cell Li-Cylinder Lithium ion battery as it is equipped with an advanced energy-saving technology- the Lenovo Energy Management that allows the system to use the energy efficiently. Connectivity options include 1 x USB 2.0 Ports, 2 x USB 3.0 Ports, 720 MP Rear Webcam for clear chats, DVDRW Optical Drive, Ethernet LAN, 1 x LAN RJ-45, 1 x HDMI port, Wireless LAN 802.11b/g/n, Bluetooth 4.0, 2-in-1 Digital Media Reader and Secure Digital MMC. Conclusion: The affordable Lenovo IdeaPad S510p 59385901 Touchscreen is designed for home and student lifestyle but will do pretty much anything it is thrown at on a daily basis. You can play most games, edit multimedia and prepare PowerPoint presentations at work on it. It looks stylish and elegant, is powerful and fast, has a long lasting battery, great audio and video as well as an ergonomic keyboard for an overall comfortable and smooth computing experience.